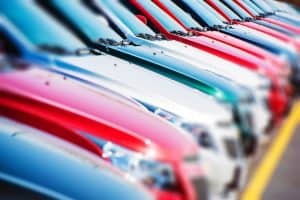 How Do Car Models Influence Insurance Rates? 04 Dec How Do Car Models Influence Insurance Rates? Automobile insurance companies price insurance policies based on the risks that you and your vehicle present. Part of the pricing is calculated on something known as vehicle claim history. The vehicle claim history indicates which cars have the most accidents and highest rates of car theft. A higher risk means higher car insurance rates. The least expensive cars to insure tend to be the ones with the least amount of claims. Interestingly, cars with less horsepower are generally cheaper to insure than cars like sports cars that are designed for speed, which often result in more accidents. Expensive sports cars have some of the highest auto insurance rates. Drivers of these cars tend to be younger and more prone to accidents, which drives up the cost to insure the cars. Larger vehicles like large SUVs which can cause more damage to other vehicles and their occupants in an accident. Luxury cars can be costly to repair which drives up insurance rates. Cars that are frequently targeted by thieves can also be expensive to insure because the insurance premium factors in stolen vehicles and any damage from fire or vandalism. Rates can also vary quite a bit among insurance companies, so it is a good idea to shop around and compare quotes. Some insurance companies also offer discounts for features that may reduce the risk of injury or theft. When it comes to insurance rates, you can’t do anything about certain factors such as your age or gender, but the vehicle that you choose is one factor that you can control.